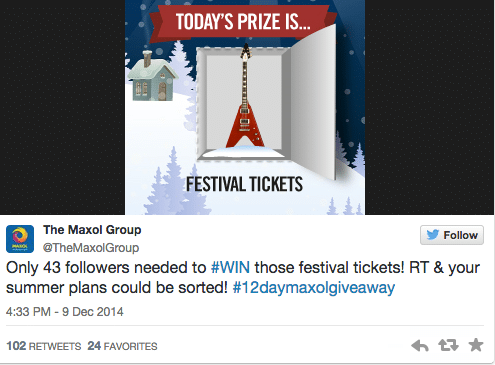 Are you wondering what the final results of the Maxol Christmas social media campaign were like? 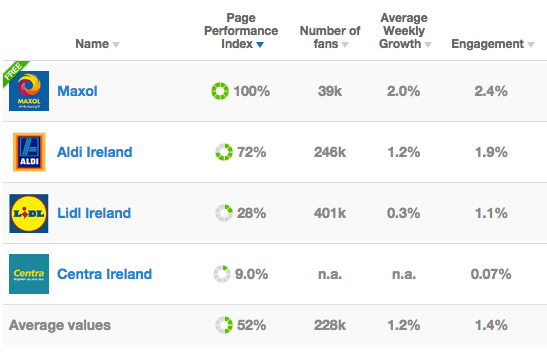 I’ve already talked about the mechanics of the competition – which were different for Facebook and Twitter in a nod to the different audiences. The overall goal of the campaign was to encourage engagement, reward loyal fans with great prizes and set Maxol up for 2015 with a solid base with whom to connect. But how about some results? We were delighted with the response on both platforms. People loved the campaign idea, and showed lots of generous Christmas spirit by sharing and mentioning friends to get others involved (increased virality, thanks Santa!). 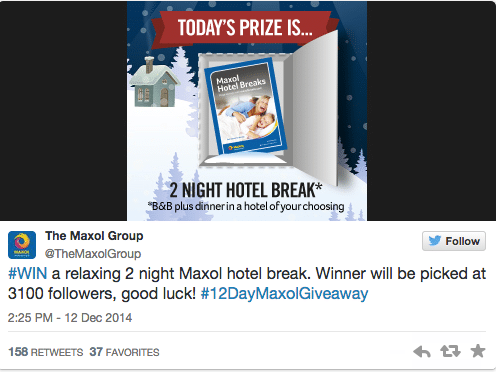 Maxol was aiming to run a Christmas social media campaign that people would love, and it certainly felt the love through engagement! You can’t fake numbers like these. 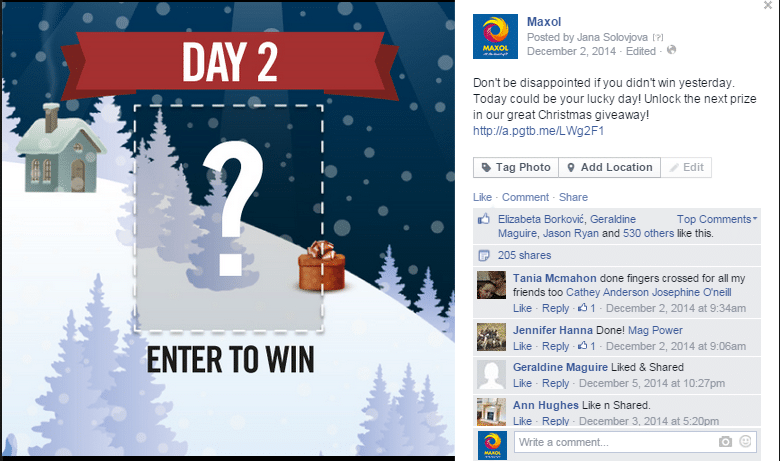 This Christmas social media campaign was not only full of great prizes, but was simple and fun to enter: people unlocked a new prize on the app everyday by their email address, and they had the option to subscribe to the Maxol mailing list. 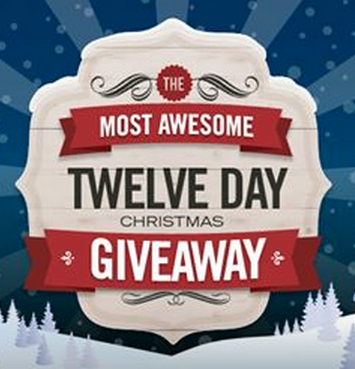 We can’t say exactly how many entered (there were loads!) but we can tell you that a whopping 40.7% of them were unique email sign-ups! There’s no doubt that engaging with new fans is great, and there were a large number of new fan page likes (which is nice but hardly a reliable metric). What’s more significant is the large amount of email sign-ups that has joined Maxol for offers in their inbox in 2015. 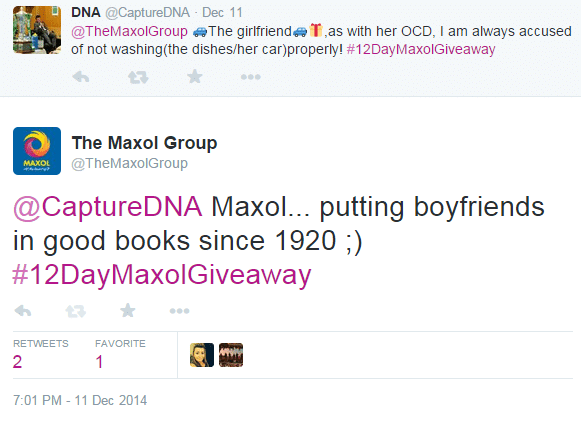 With Twitter, Maxol had a different goal – to increase followers and encourage conversation. We’re just building at this stage. We want to have people to talk to! 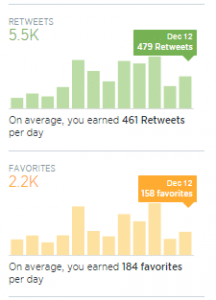 I know we were starting from a lowish base, but over the 12 days of Christmas, Maxol’s Twitter followers increased by over 82%. This successful Twitter campaign is down to the combination of the simple mechanic, decent graphics, a small push using Twitter ads, and lots of chatty banter. We put a lot of thought and effort into everything that we do at Brightspark, and this is just one example of what can be achieved with a good idea, careful planning, and a willingness to take a punt. 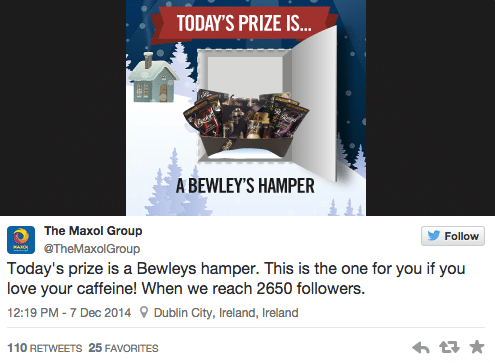 If you are planning your Christmas social media campaigns, why not get in touch and see what we can do you for you. 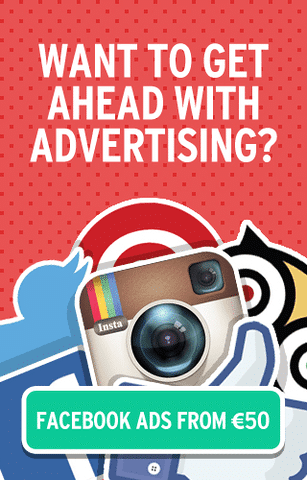 « Why Don’t Law Firms Use Social Media Properly?